Rock your old denims in the hottest new sneakers! 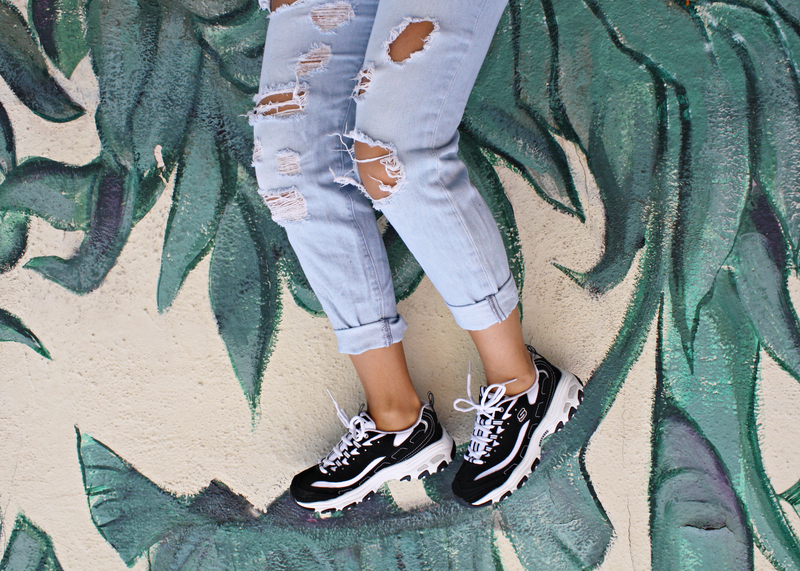 We asked our fashion-savvy marketing intern Taylor for her top three Skechers sneaks, and tips on how she styles them with her favorite jeans. Tip: These high-tops work great with a jean jacket, simple white T and skinny jeans – sometimes you just have to go #backtothebasics. In terms of sneaks, WHITE is the new black. Plain white sneaks are all the rage, so slip on these classic Skechers Originals in white with a pair of light blue skinny jeans and you’re all set this season. These are the perfect walking shoes – so whether you’re running around town or are taking a relaxing walk through the fall foliage, you can do it all in comfort. Tip: Invest in some low-cut socks! Socks are out and bare ankles are IN! We’re celebrating ten years of D’Lites! Pair our black and white D’Lites – Biggest Fan sneaks with some loosely fit boyfriend jeans and stroll around downtown – the perfect place to rock the “IT” trends. On top of being super comfy and cute, D’Lites make you a little taller – so stash those painful heels in the back of your closet and rock this fun retro style! Tip: Cuff your BF jeans at the bottom and show off your ankles – it really completes the look! 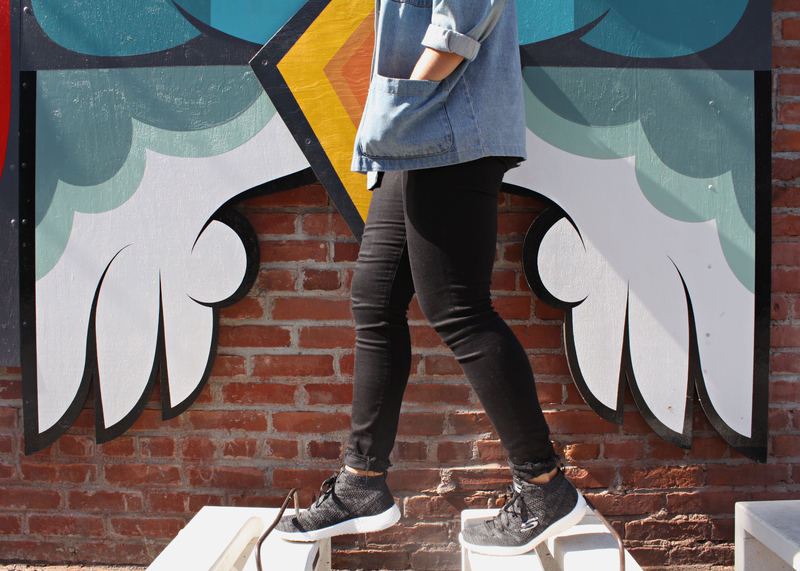 How do you style your Skechers sneaks for fall? Tell us in the comments! I LOVE the white sneaks!